Host of the Belmont Stakes, the oldest and longest leg of thoroughbred racing’s “Triple Crown”, the New York Racing Association proudly serves as a national pillar of racing excellence and is the exclusive franchisee for racing operations at Aqueduct Race Track, Belmont Park and Saratoga Race Course through 2033. Wagering at these three facilities accounts for nearly one in every five dollars wagered on all thoroughbred races occurring within the United States. New York Racing Association facilities operate year-round and conduct more than 230 days of racing and 2,200 races annually. These operations are the cornerstone of New York’s thoroughbred business, which is responsible for the generation of 17,400 jobs and contributes of more than $2.1 billion to New York State’s urban, suburban and rural economy. With a focus on building bigger, better racing events, the New York Racing Association restructured its racing schedule to focus on five “must-see” big events: Belmont Stakes Day (early June), Stars and Stripes Day (July 4 weekend), Whitney Day (early August), Travers Day (late August) and Super Saturday (late September). With increased purses and enhanced cards, this strategic focus targets two of our main priorities: improving the quality of our thoroughbred racing and bringing new fans into the sport. Emblematic of this approach, on Belmont Stakes Day in 2014, the New York Racing Association offered 10 graded stakes, including six Grade 1 races with purses totaling $8 million. The resulting card provided more than 100,000 fans and millions of viewers nation-wide with some of the most exhilarating racing seen at a New York Racing Association course in many years. It also generated a record-breaking day in handle, with $20.5 million wagered on-track and more than $150 million wagered through all sources. In 2015, the racing leader is building on this success. For the first time, the New York Racing Association will be expanding Belmont Stakes Day into a three-day racing festival to kick off the summer season for all New Yorkers. This mega event will include enhanced hospitality and entertainment options, and will feature a trio of stakes-laden cards worth $10 million in purses. The centerpiece of the Festival will be the 147th running of the Grade 1, $1.5 million Belmont Stakes on Saturday, June 6. Founded in 1955, the New York Racing Association operates as a not-for-profit, non-dividend paying corporation governed by a Board of Directors, whose members receive no compensation or dividends. Christopher K. Kay was appointed CEO and President of the organization in July, 2013. 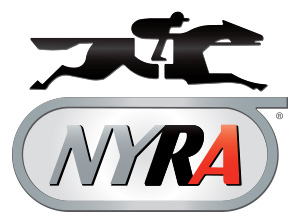 For additional information about the New York Racing Association, visit www.nyra.com.